Since 2010, the Xfinity Series has been racing at one of the best-known road courses in North America, Road America in Elkhart Lake, WI. Learn more about the host of this weekend’s stand-alone race in this week’s Fast Facts. 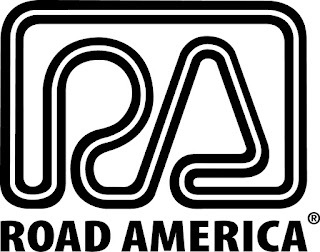 Road America opened in Sept. 1955 and is located between the cities of Milwaukee and Green Bay. Currently hosting more than 400 public and private events each year, the track still features its original configuration at 14 turns and 4.048 miles. It has open seating and no capacity limitations; grandstands and hillside seating are available throughout the facility. One NASCAR Grand National (now Monster Energy NASCAR Cup) Series was held at Road America in Aug. 1956, with Tim Flock driving his Mercury to victory lane. The Xfinity Series came to the track in 2010 after losing its races at the Milwaukee Mile. There have been seven different winners, with the last three winners coming from the Richard Childress Racing stable: Brendan Gaughan (2014), Paul Menard (2015) and Michael McDowell (2016). In addition to the Xfinity Series, the Verizon IndyCar Series also races at Road America, having returned to the track in 2016. Other series with major events at the track include the WeatherTech SportsCar Championship, the SCCA Pro Trans Am Series, the ARCA Racing Series and the MotoAmerica Series for motorcycle racing. Learn more about the track and this weekend’s event at www.roadamerica.com.